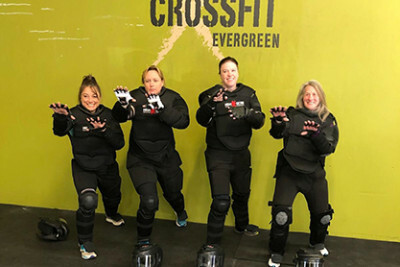 CrossFitters train for the unknown and unknowable, but elite fitness does not guarantee personal safety. 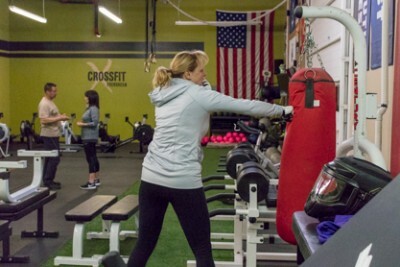 If CrossFit is the study of human movement, Self Defense is the study of human movement as it relates to violence, fear and aggression. 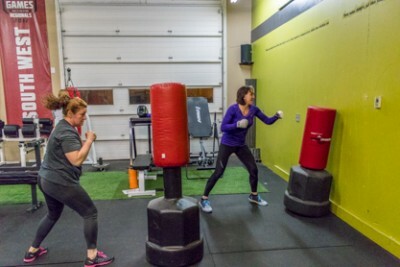 Athletes are taught close quarter skills and combines fun, dynamic, and effective drills that are extremely effective for anyone of any age who may have to defend themselves. The ability to protect yourself or a loved one is inarguably, the single greater skill you could possess. 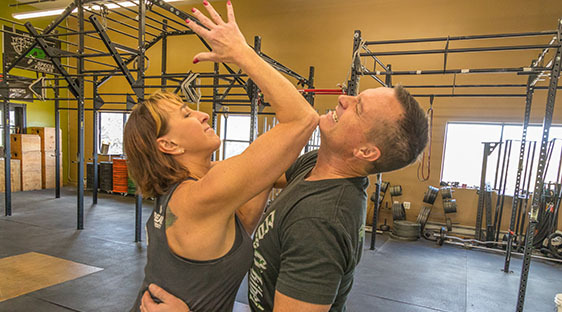 What if learning self-defense was easier than you thought ? 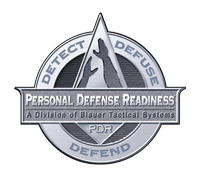 Personal defense readiness classes are available through direct coordination, for individuals, schools, churches, work and office groups and anyone or group which wishes an increased level of self-protection and awareness. 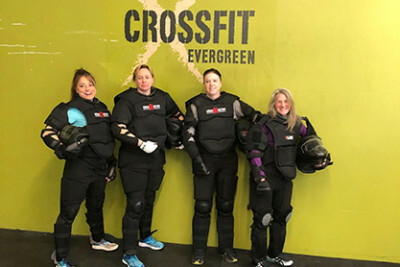 We have conducted dozens of classes for school sports teams , other school and work groups, business women organization, state office workers, running groups and individuals. Come to us or we will go to you. Your increased safety is our only concern. You do not need any combative skills to learn how to effectively protect yourself and loved ones. 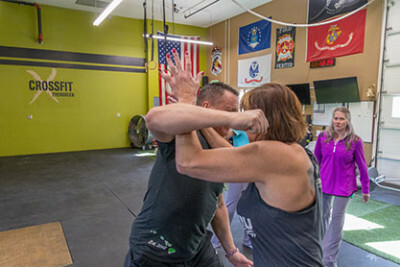 Our classes will give you the skills and mindset needed to survive a violent attack. Classes are taught in a way which allows you to start at any time. We use a building methodology which dissects scenarios, starts slowly and increases in speed at your comfort level. IF YOU DIDN’T FEAR FEAR WHAT WOULD YOU DO ? 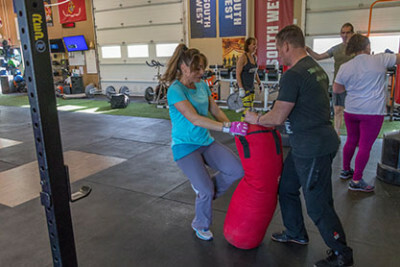 What is PDR Self Defense ? The SPEAR system is not martial art. It utilizes the speed and reliability of the startle flinch mechanism to convert the sudden attack into a tactical counter. Since SPEAR is not a martial art, it does not replace any combative skills and training you may already possess. It augments those skills and becomes the “2 seconds before the fight” which allows you to efficiently become the bridge to your next move. 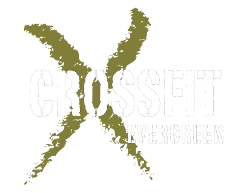 This program is based on sound kinematics and makes use of many CrossFit movements that mimic combative movement. 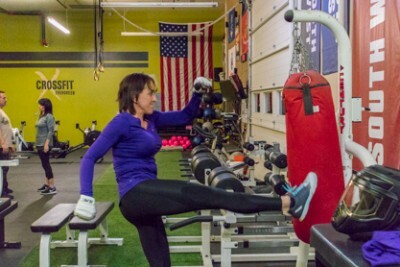 This makes the program simple and effective without getting sidetracked with rituals commonly found in martial arts. 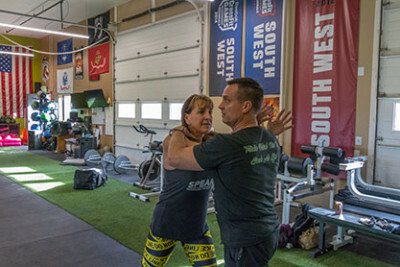 Developed by Tony Blauer S.P.E.A.R is an empirically researched personal defense method. 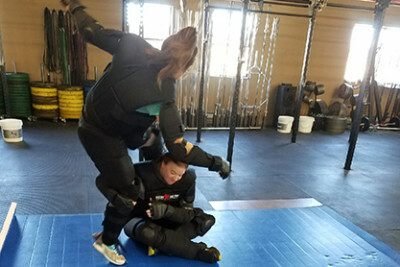 It is based on the unparalleled speed of the startle-flinch response, combined with the body’s strongest biomechanical position of the arms in order to create a barrier between a defender and an opponent.